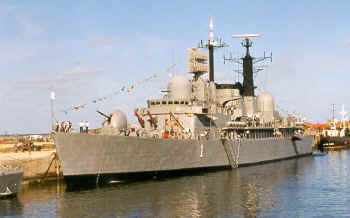 The Destroyer A.R.A Hércules, ship badge of the Argentine Navy, was built in the shipyards Vickers at Great Britain, it was launched in 1972 and incorporated to the Argentine fleet in 1977. 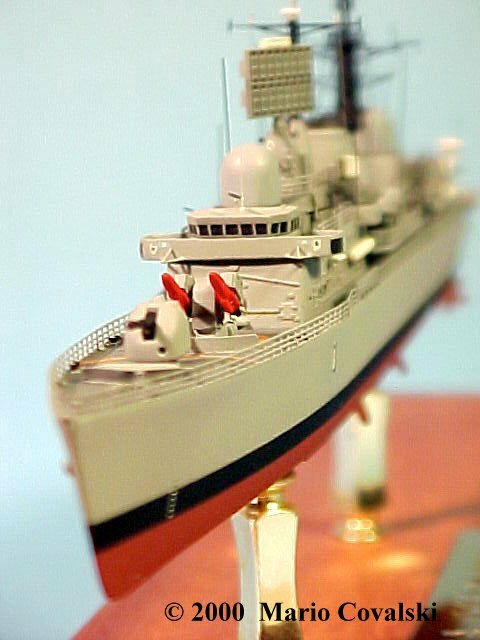 This Class 42 Destroyer has as main mission the fleet air defense, also having capacity for the war anti surface, anti submarine, electronic and naval fire for supporting the navy infantry. 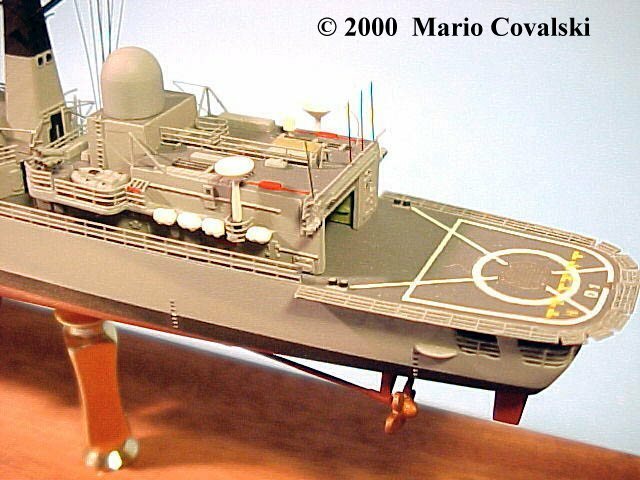 It has a hangar and a flight deck to operate a medium size helicopter, for example an Alouette II or Fennec, used in several missions for exploration and anti-submarine fight. 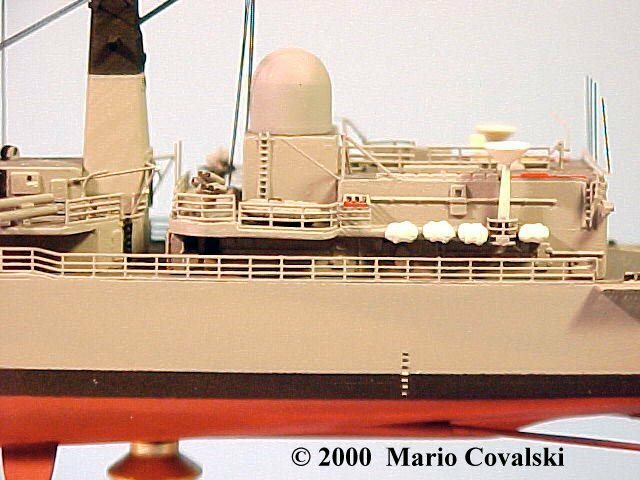 This ship is also prepared to act in chemical, bacteriological and nuclear War, because it has isolation systems and external laundry. This ship participated in Falklands / Malvinas War in 1982. 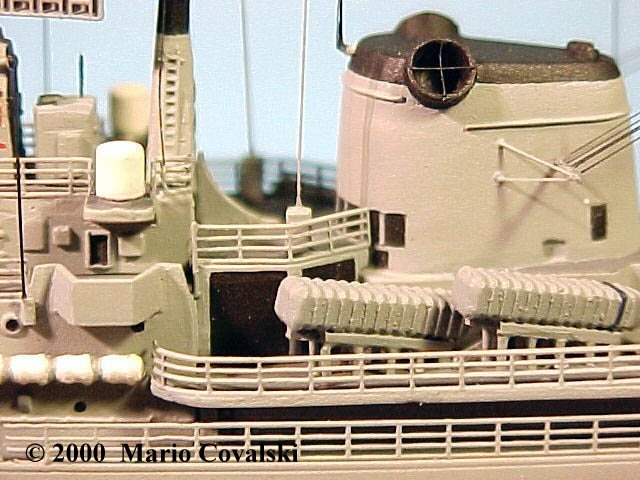 Machine guns of 12,7 mm. 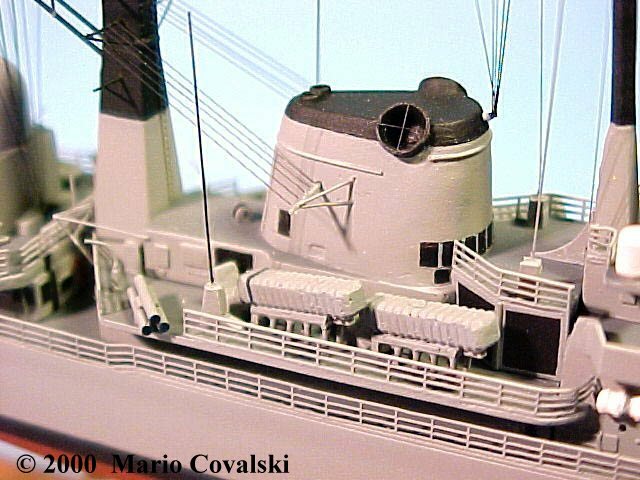 Here a REVELL-GERMANY kit was used, with accessories of Eduard for the kit Revell H.M.S. 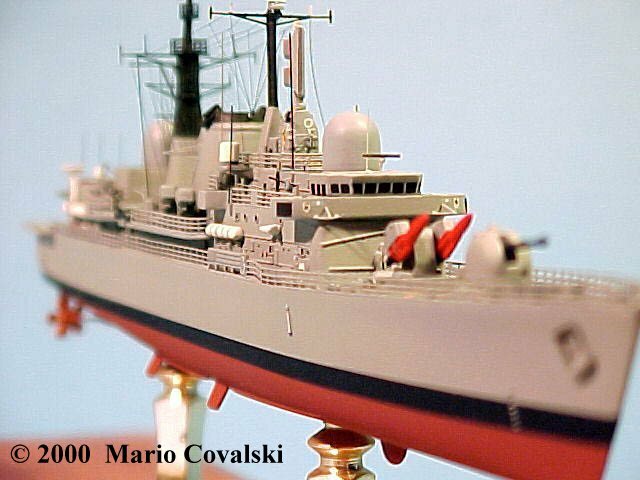 Sheffield code 17011. 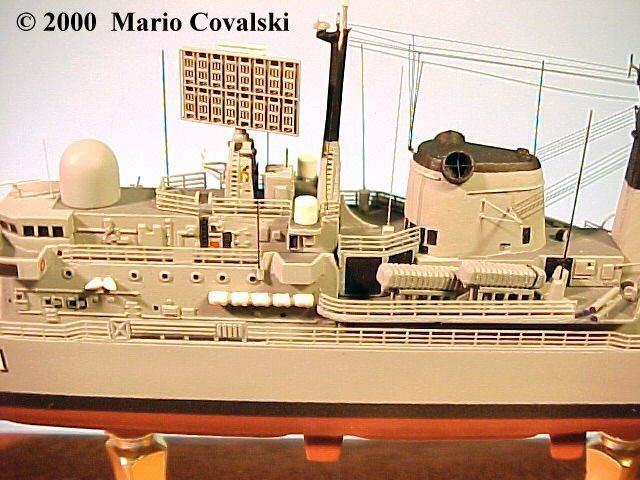 The scale model was built with 387 extra parts added to the original kit, 86 of them are of photo-etched, and the rest were scratch built. 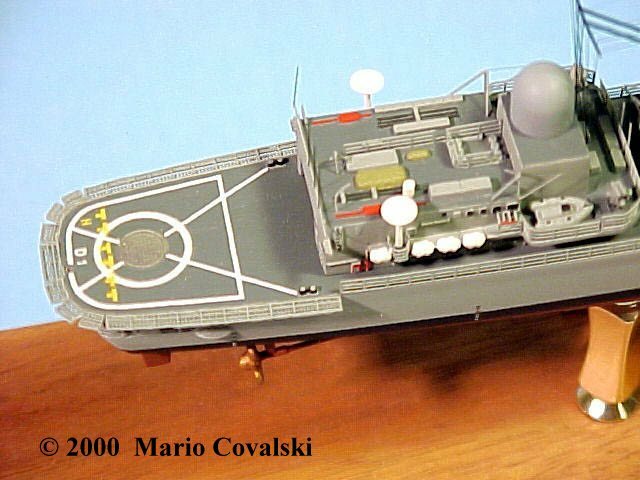 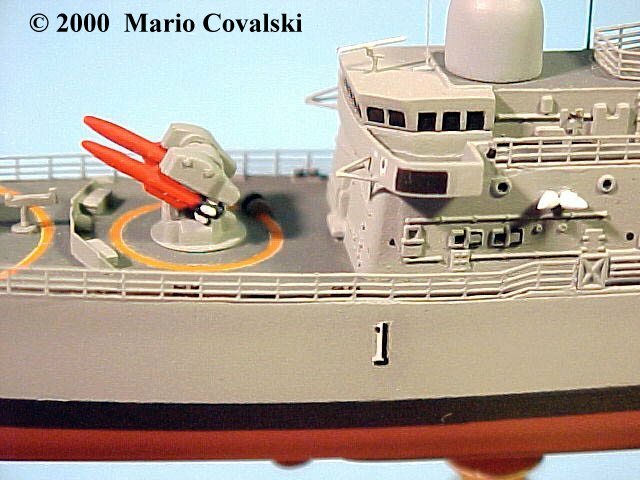 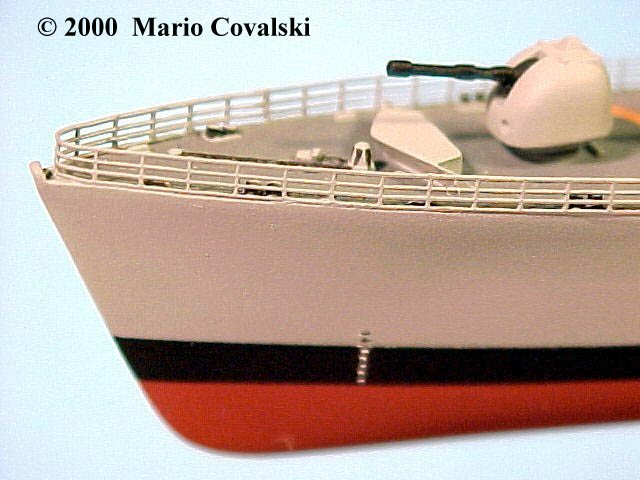 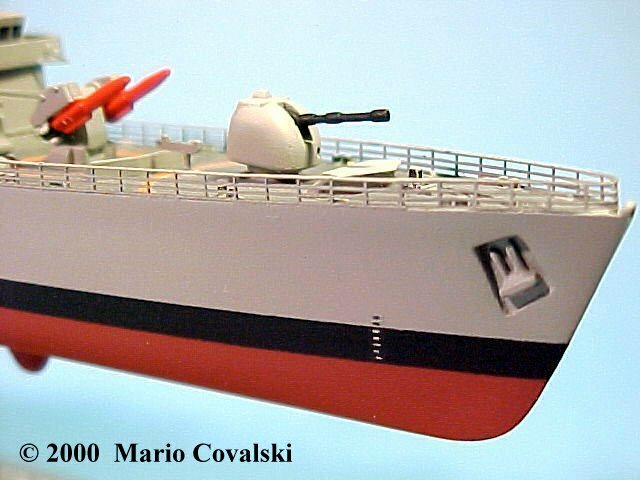 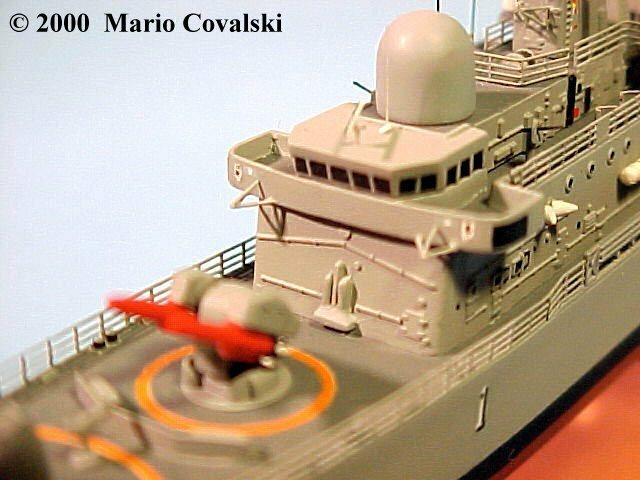 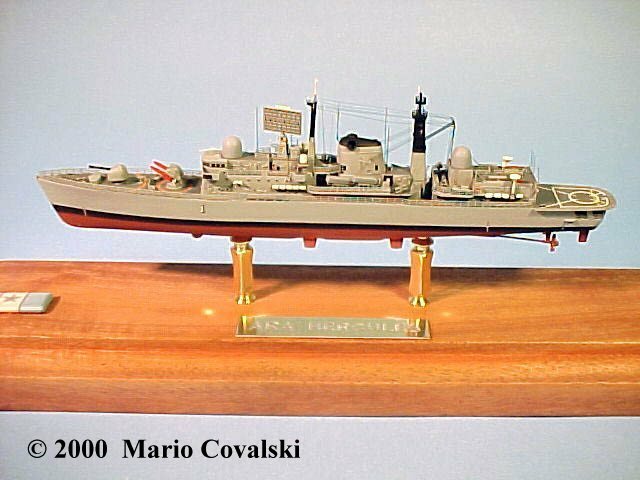 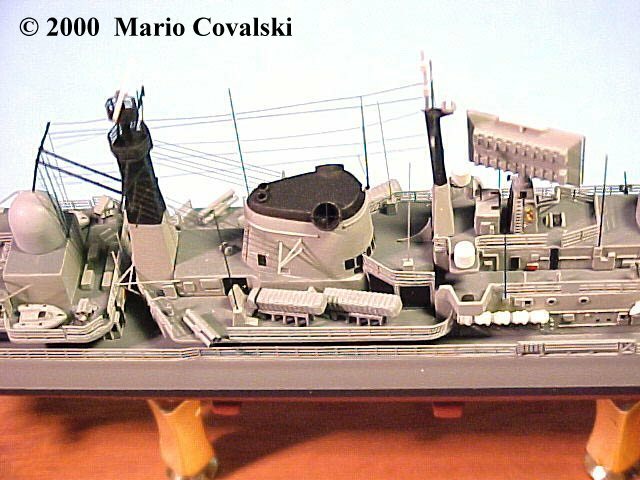 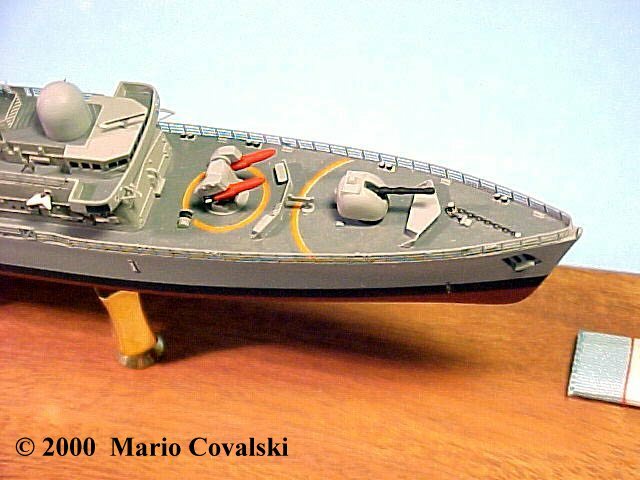 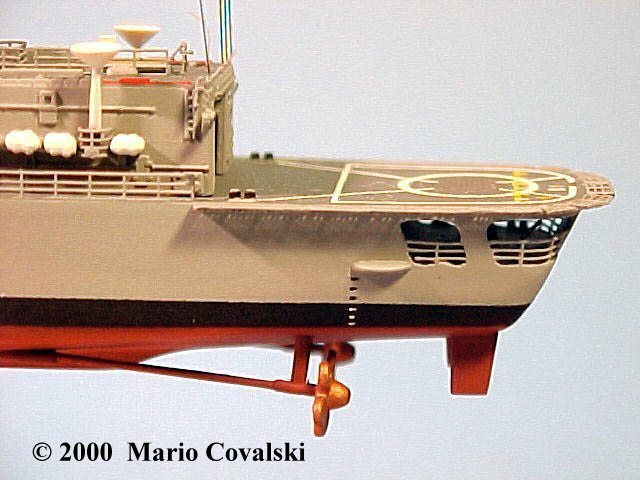 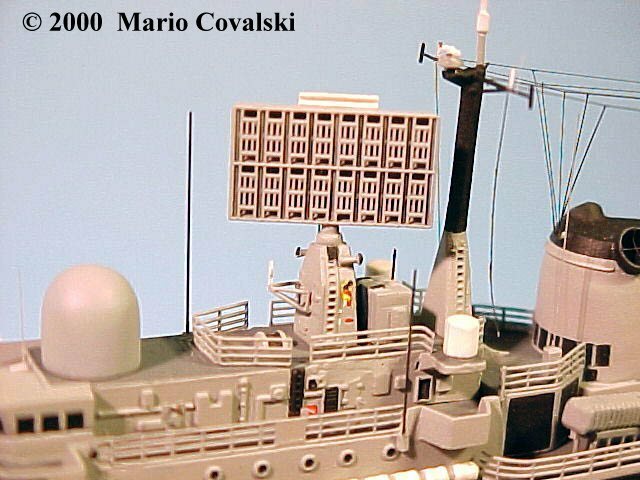 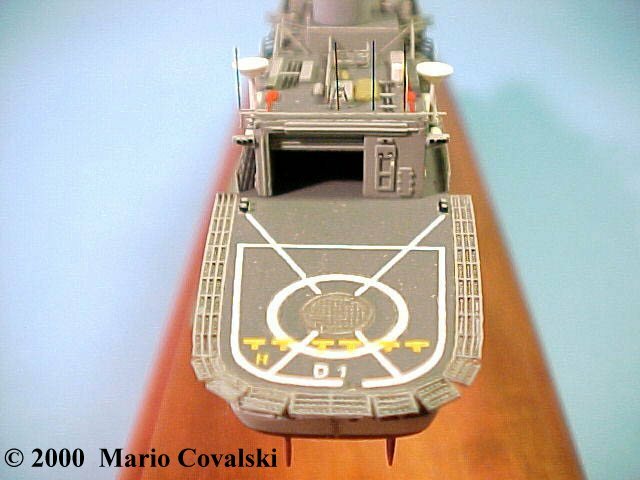 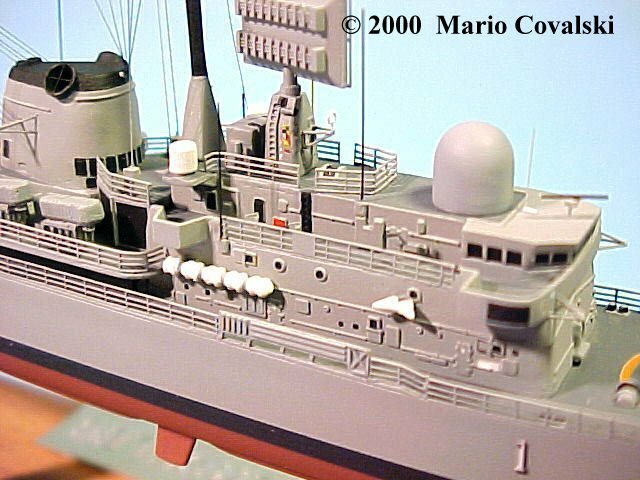 The realized model is based on the original ship according to the photos that were taken at the Naval show during the summer in 1996 in Mar del Plata (Argentina ) Naval Base.